RMA & Warranty Information | EMAC Inc. Please verify your order IMMEDIATELY! Make sure that you have received the correct make, model, and revision. EMAC, Inc. must be notified of any discrepancies in your order within 30 days of the invoice date. After the 30-day grace period, EMAC, Inc. reserves the right to provide a partial refund or no refund at all based on the lateness of notification. Limited Warranty: This limited warranty is granted to the customer by EMAC, Inc. and extends only to the original customer purchase of the product. All products are tested and evaluated prior to shipping to insure complete functionality. However, if a product exhibits a manufacturing defect, return the product within the limited warranty period and EMAC, Inc. will repair or replace it (with the same or equivalent model), at our option, with no charge to you. If the limited warranty period is not explicitly stated on the invoice then the limited warranty defaults to one (1) year, from the original invoice date. A limited Warranty for Kits covers parts that were defective when shipped from EMAC, Inc., not those damaged by the customer. EMAC, Inc. will replace the defective Kit part(s) for a period of 30 days from the original date of the Kit invoice. Return the product or defective parts to EMAC, Inc. for repair or replacement. If the product is replaced, EMAC, Inc. may provide a reconditioned version of the same or equivalent model. Parts used in repairing or replacing the product will be warranted until the original warranty expires. Products or parts that malfunction and are not warranted will be replaced or repaired and then shipped entirely at the expense of the customer. RMA: In order to return any product or part, the customer must obtain a Returned Merchandise Authorization (RMA) number. To be granted an RMA number, a Technical Support Issue number must first be obtained from an EMAC Support Technician. The Support Technician can provide this number to the customer by using the web form at http://www.emacinc.com/support/ also calling or emailing can get a support request but a support instance is required for RMA authorization. After the customer provides all of the necessary information (listed below) and obtains a Support Issue number, the customer will be provided with an RMA number and shipping instructions to use in returning the product. Once the RMA number is granted, the customer has 30 days to ship the product to EMAC, Inc. After 30 days, the RMA number expires and another RMA number must be obtained from EMAC, Inc. If the malfunction is deemed a manufacturing defect, no charge will be accessed for warranty service except for any prepaid shipping cost to EMAC, Inc. Products are returned to the customer using normal ground shipping. EMAC, Inc. will return the product via ground service in the case of a manufacturer’s defect, at no charge to the customer. 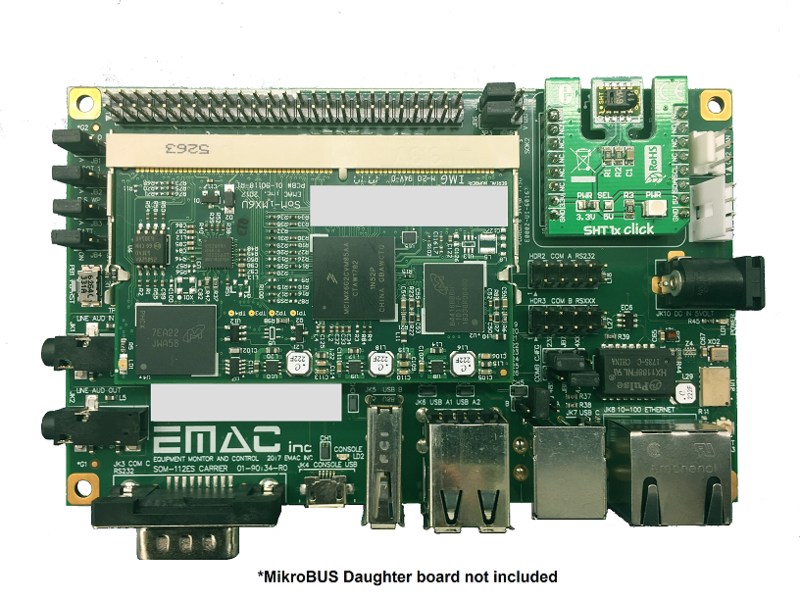 It is EMAC’s policy to charge for evaluation and testing on boards that are under warranty if there is No Problem Found(NPF) so please provide specific detailed information as to the symptoms the product is exhibiting. If a faster shipping method is required or if the customer is outside the 48 contiguous United States, the customer will be charged for return shipping. Merchandise should be shipped in a safe and secure package with the RMA number clearly visible on the outside of the package. The customer should retain the original packing material in case a product must be returned to EMAC, Inc. EMAC, Inc. cannot assume responsibility for loss or damage during shipping. All products returned for credit are subject to a restocking fee. Company name, contact name, address, email address, and phone number. The product name/number being returned. System Serial number (if applicable). Original invoice number and/or sales order number. Damage resulting from accidents, alterations, failure to follow instructions, incorrect assembly, misuse, unauthorized service, fire, flood, power surges, acts of God, or other causes not arising from manufacturing defects are NOT covered by this warranty. Any property damage caused by a product failing, in warranty or not. If the product is altered in any way, the warranty is voided. Software, firmware or configurations including reinstallation are not covered under warranty, except where the storage media is defective, and then the software installation will be reverted to latest approved software revision defined on the original invoice. No evaluation fee for warranty conditions, approval for any repair fees will be requested. Repair fees are applied in cases where repairs are not covered under the limited warranty, such as damage or software reinstallation, a minimum $50 fee will be applied to restore stock software when required by testing. Minimum $50 evaluation fee, further approval for repair fees over $150 will be requested. Minimum $150 evaluation fee, further approval for repair fees over $250 will be requested. RMA evaluation and repair fees are NCNR. Due to the custom nature of some products Service returns for repair may not be available for all products. WE WILL NOT PAY FOR LOSS OF TIME, INCONVENIENCE, LOSS OF THE USE OF THE PRODUCT, PROPERTY DAMAGE CAUSED BY THIS PRODUCT, ITS FAILURE TO WORK OR ANY OTHER INCIDENTAL OR CONSEQUENTIAL DAMAGES. EMAC PRODUCTS MAY NOT BE USED IN APPLICATIONS WHERE THE FAILURE OF THE PRODUCT WOULD RESULT IN A SITUATION THAT WOULD CAUSE DEATH OR PERSONAL INJURY. THIS WARRANTY IS EXPRESSLY LIMITED AND DISCLAIMS ALL IMPLIED OR STATUTORY WARRANTIES OR REPRESENTATIONS, INCLUDING, WITHOUT LIMITATION, WARRANTIES OF QUALITY, PERFORMANCE, NON-INFRINGEMENT, MERCHANTABILITY OR FITNESS FOR A PARTICULAR PURPOSE. NOR ARE THERE ANY WARRANTIES CREATED BY A COURSE OF DEALING, COURSE OF PERFORMANCE OR TRADE USAGE EXCEPT AS EXPRESSLY PROVIDED FOR IN THIS LIMITED WARRANTY. THIS LIMITED WARRANTY SETS FORTH ALL OUR RESPONSIBILITIES REGARDING THIS PRODUCT. REPAIR OR REPLACEMENT AT AN AUTHORIZED SERVICE LOCATION IS YOUR EXCLUSIVE REMEDY. This limited warranty gives you specific legal rights, and you may also have other rights, which vary from state to state within the USA.